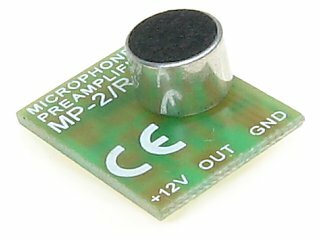 The MP-2/R is designed to listen to sound from the surroundings and operate with DVRs. 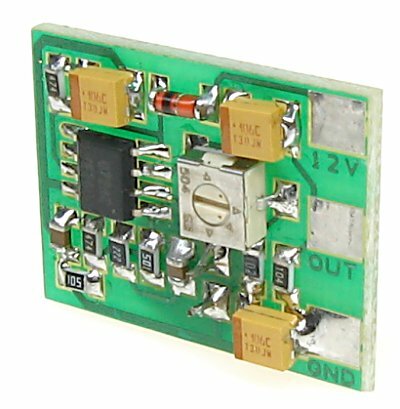 Module was made in SMD technology for further mounting, eg in camera bracket. 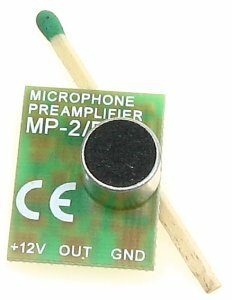 The device has the microphone directly mounted on the PCB, and gain control PCB potentiometer. There are soldering points on the PCB to solder the module connecting wires.